Royal Conservatory A.R.C.T., Bachelor of Music in Performance, University of Toronto. 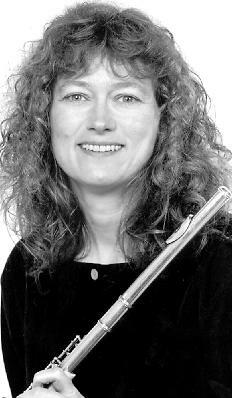 Principal Flute of The Vancouver Island Symphony from 1995 to 2006 & Instructor at Vancouver Island University since 1993. Teaching excellence, magical practicing and enthusiasm for flutists of all ages. Are you asking a flute question? Click here. The Bloggy Index including all the most recent flute "how to" topics and free flute practicing ideas. Note how to spell "Embouchure". For students, teachers and novice-intermediates of all ages. 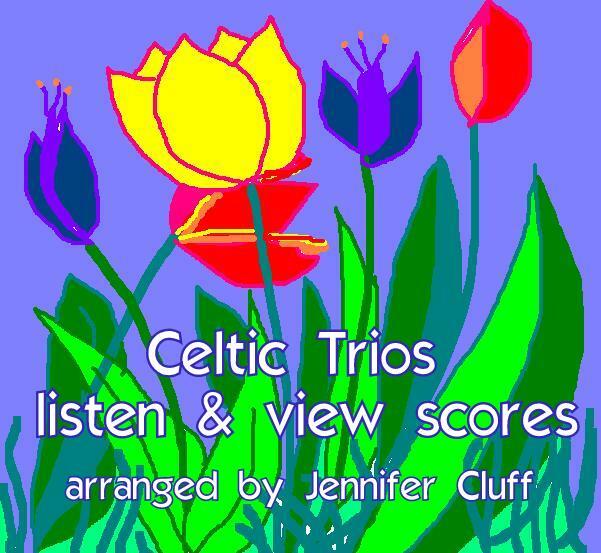 Read Rave Reviews for Jen's Flute Trios! Read Table of Contents, view sample pages. Volumes I, II and III all inclusive. 250 page ebook (or print to bind for your music stand). Delivered in pdf by email. 2.4 mb. Looking for wedding duet sheet music for two flutes? Pachelbel's Canon, Wagner's "Here Comes the Bride" (Lohengrin), Clarke's Trumpet Voluntary, Flower Song from Lakme, Si Beag Si Mor. 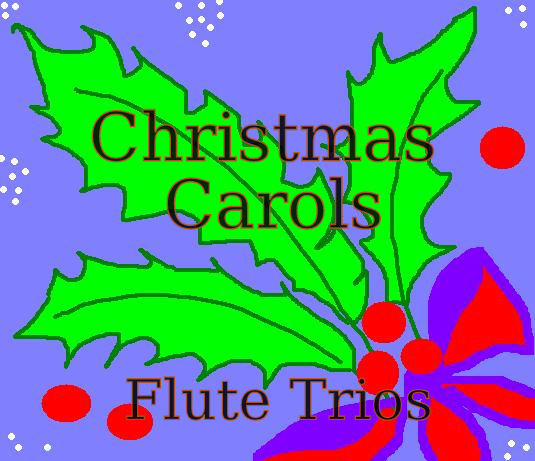 Greensleeves, & other wonderful wedding tunes available in pdf, arranged by Jennifer Cluff for her own flute wedding duo.